It's a constant struggle: how to motivate veterans to get the help they need - and are entitled to - when so often they shrug off the idea because "someone else needs that more than I do." Mike Waldron says it's simple: his 23rd Veteran's transition program doesn't work unless there is a full team there. And if that's not quite enough incentive, there's always "taking pieces of metal and making them sharp." More information about tomorrow's (Saturday, March 30) Nearly Naked Ruck March is here. More information about 23rd Veteran is here. KUMD talks with Mike Waldron of 23rd Veteran, an organization assisting veterans in their transition from military to civilian life through an innovative positive reconditioning program. 23rd Veteran is hosting a bus ride for veterans for Military Appreciation Day at the Minnesota State Fair on August 28th. The forecast says it will be sunny and 27 on Saturday. For many people, the prospect of a ten mile hike, carrying a loaded pack and dressed only in long underwear would be, well ... depressing. 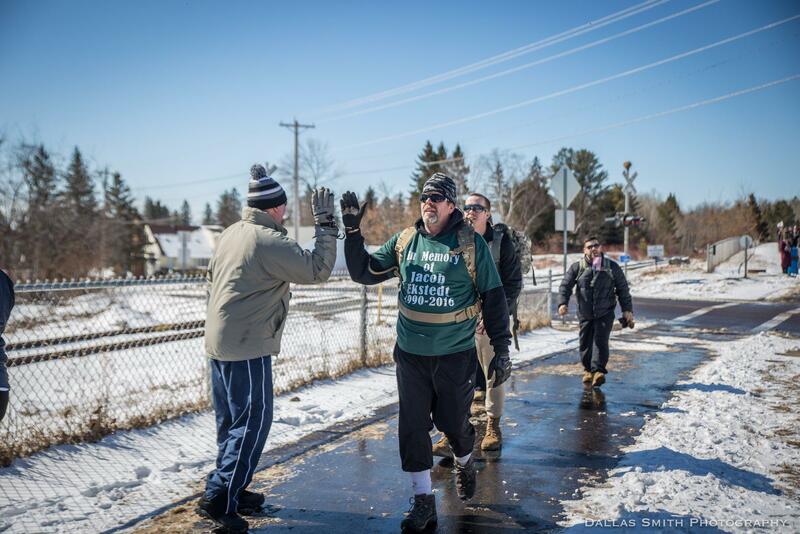 But for the Nearly Naked Ruck Marchers, the weight they carry (a contribution of $10 equals one pound), represents the weight they carry in the battle against post-traumatic stress. By some accounts, every day, 22 veterans of our armed forces take their own lives. Mike Waldron was almost one of them. Until he became - and created - the 23rd Veteran. Veteran's Day honors the veterans among us ... but many veterans aren't comfortable with the stereotypes they face when they get home. What if they don't want to be seen as either heroes or "damaged," somehow? Is there anything in-between?